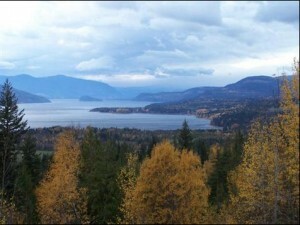 Shuswap Lake is a very large lake network with numerous arms reaching a number of cities in the Interior. Shuswap Lake is named after the Shuswap Indians an Interior Salish tribe. This lake is the largest lake in the area with hundreds of kilometers of shoreline with hidden coves and beaches. The surface area of Shuswap lake is 309.596 square kilometers, the mean depth is 61.5 meters and maximum depth is 161.5 meters. Little Shuswap extends off of the north western arm of the Shuswap and has a surface area of 18.131 square kilometers, a mean depth of 14.3 meters and maximum depth of 59.4 meters. Shuswap Lake is shaped like an addled H and is made up of four large arms: the Shuswap Lake main arm (north west), Salmon Arm (south west), Anstey Arm (south east) and Seymour Arm (north east). 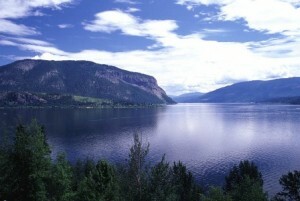 This lake is the product of glacial scouring that also rounded the surrounding Shuswap Highlands. All of the four arms converge at Cinnemousiun Narrows which is north east of Sicamous and home to the Cinnemousiun Narrows Provincial Park. The cities and communitites that surround the shoreline of this lake include Salmon Arm, Sicamous, Chase, Seymour Arm, Balmoral, St. Ives, Blind Bay, Carlin, Magna Bay, Scotch Creek, Eagle Bay, Notch Hill, Skimikin, Anglemont, Celista, Lee Creek, Sorrento, Sunnybrae, Canoe, Tappen, White Lake and Wild Rose Bay. Real estate in and around the Shuswap lake area is very popular for both year round and seasonal residents. There are a lot of beautiful building lots, apartments, townhomes, single family homes and estates that surround this large lake system. Since this area is so large there are often a lot of properties for buyers to choose from. Shuswap Lake has many summer cabins that sit on the desirable waterfront but not all areas are serviced by sewer and hydro. Below are short descriptions of communities that surround the Shuswap. Don’t hesitate to contact me with any questions. Sicamous, located south east of Kamloops is known as the house boat capital of Canada and has the largest fleet of houseboats in the world. 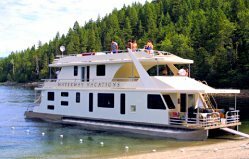 During the summer months houseboating is a very popular activity for vacationers. This beautiful area is set against the Monashee Mountains and the shores of Mara and Shuswap Lakes. This small town is a great place to explore any season of the year. The Sicamous area has over the past ten years become a popular destination for investors purchasing summer homes both on the water in the form of private houseboats or one of the many newer townhomes or apartments that sit on the waterfront. Salmon Arm is located south east of Kamloops, is known as the heart of the Shuswap, has a population of roughly 17,000 and is Shuswap’s centre of commerce and services. It is the Okanagan Valley’s northern gateway to the Shuswap. A great city for outdoors enthusiasts. 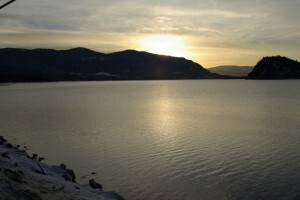 Salmon Arm is located mid way between Vancouver and Calgary making it a popular meeting spot for many vacationers. Experience everything from water related sports, 18-hole golf courses, to cross-country ski trails, back country sleigh rides and carnivals, to snowmobiling, mountain biking and hiking. A great place for the whole family. This community has many stores, amenities and schools. There are a number of residential areas of Salmon Arm. For further information about this area click here. The Chase area, located 45 minutes east of Kamloops, is the western gateway to the Shuswap region. Chase is located on the south western shores of little Shuswap Lake, set in the mountains at the eastern end of the South Thompson River valley. This small town boasts many amenities, beautiful beaches, a golf course and gorgeous parks. Little Shuswap and near by lakes are perfect for fishing, wake boarding, swimming and paddling, mountain bikeing, hiking and cross country trails. Chase also extends to Adams lake, another area very popular for outdoor enthusiasts. This beautiful lake is located 55 minutes north east of Kamloops or 30 minutes north of Chase. Adams lake is a very large sprawling lake where many visitors enjoy cycling, windsurfing, water skiing, wake boarding, swimming, canoeing and fishing. Many fish for kokanee and rainbow trout in this lake. There are a number of properties on this popular lake often found on Agate Bay Road, Rawson Road and Holding Road. There is a large provincial park on Adams lake with basic campground facilities. For further information about Chase click here. The North Shuswap includes the areas Anglemont, Celista, Lee Creek, Magna Bay, Scotch Creek, Seymour Arm and St. Ives. This area is only a few minutes north of Highway #1 and has over 100 kilometers of unspoiled shoreline. There are many options for accommodations, restaurants and tourism in this area. For outdoors enthusiasts, there are dozens of activities to suit everyone’s needs and desires. For further information about this area click here. 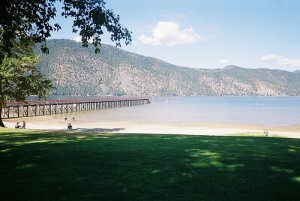 The South Shuswap has a variety of recreational choices and numerous homes to choose from. Balmoral, Blind Bay, Carlin, Eagle Bay, Notch Hill, Skimikin, Sorrento, Sunnybrae, Tappen, White Lake and Wild Rose Bay are all conveniently located along Highway #1 and line the Shuswap shores facing Copper Island. Much like all the areas of the Shuswap region, this area is no different, there are a couple dozen outdoor activities to enjoy any season of the year. 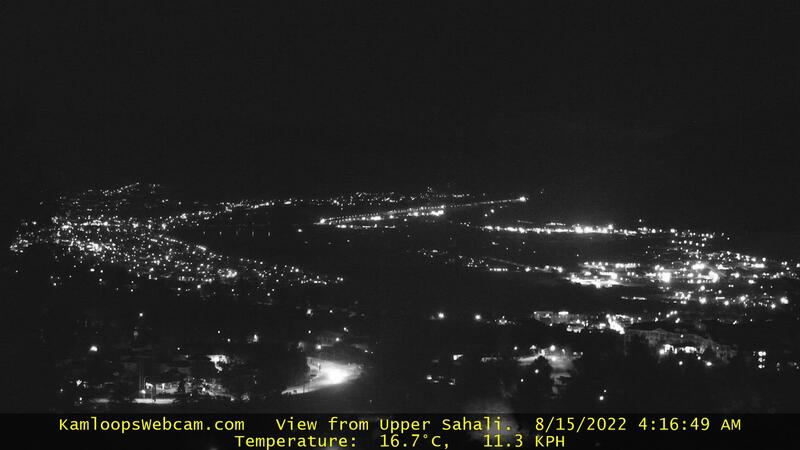 For further information about the South Shuswap click here. 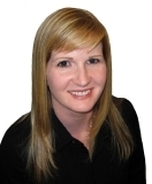 Every community on the Shuswap has many real estate options for every buyer. There are numerous activities to enjoy and new scenery to explore. To find out more about real estate in the following areas click on the link to do a home search: Chase, Salmon Arm, Sicamous, North Shuswap and South Shuswap.